There are many STEM careers in the publishing industry! Publishing can be done very professionally by a desktop publisher thanks to the many tools computer hardware and software provide. The ability to see how words and images can best be arranged on a page for the reader is a skill every desktop publisher must have. But this professional is not just a computer nerd with good technology skills—the desktop publisher must also be able to write well and have an artist’s eye for good design. 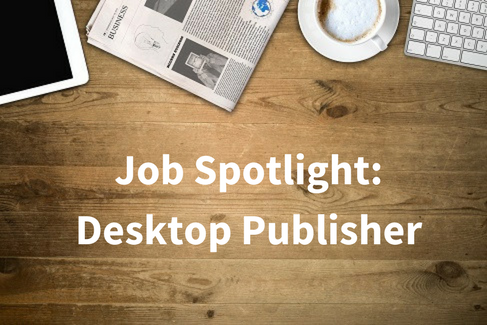 The job of the desktop publisher is one that takes information from many different sources and combines it to produce a magazine or newspaper article, an informational brochure, an online report, or anything that is printed for people to read. After determining spacing, font size, print and background colors, and the placement of the words on the page, artwork or photographs are added to create interest and information. Desktop publishing software programs are used to assist publishers in editing and formatting the information into the final form to be uploaded to a website or printer. Some publishing jobs demand a lot of artistic skill to design all of the images which may appear on a page, while others must present an error-free and easy-to-read written page. According to the U.S. Bureau of Labor Statistics, a desktop publisher earns a median salary of $41,090. The wages can be earned by working for publishers of such publications as books, magazines or newspapers; for publishers of professional or technical publications; for commercial printers; or desktop publishers may work independently, selling their services to others. 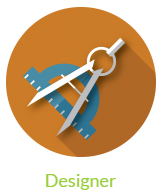 An associate’s degree in graphic design or graphics communication is a requirement for a desktop publisher. On-the-job training for a short term of about four weeks is helpful to someone learning this job. Good grammar, spelling, and computer science skills are also required to do this job well. Most community college and some technical schools offer courses in desktop publishing. Learning how to use desktop publishing software is very important, and as new and improved software becomes available, it is key for desktop publishers to utilize all technology to create original and professional designs. 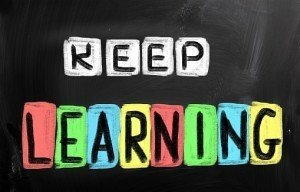 High school students can prepare for a career in desktop publishing by taking art, computer, grammar, and writing courses. Joining the school newspaper or yearbook staff allows a prospective desktop publisher to gain experience in the field. Enticing a reader to stop and check out a particular article or publication can be a challenge when so much is available online and in so many other formats. Creating an interesting and creative design together with a clear, readable text catches the reader’s eye and makes the desktop publisher’s job a success.